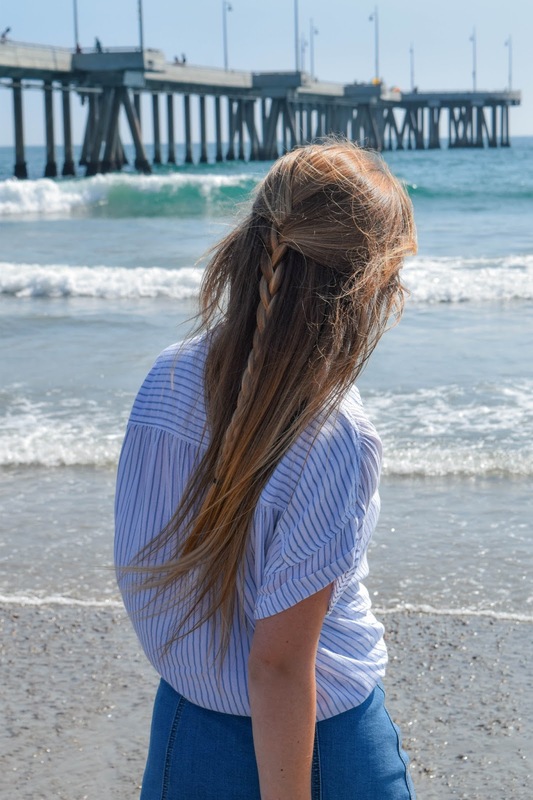 After a week enduring some not-so-summery temperatures, I was so happy to finally feel some true summertime heat when we were at Venice Beach. It felt so nice to be able to shove my sweaters and jackets to the bottom of my bag and pull out some breezier pieces like this striped shirt and denim skirt. What I love about both of these pieces is that while they were perfect for a hot beach day, they can also be easily transitioned into the fall. 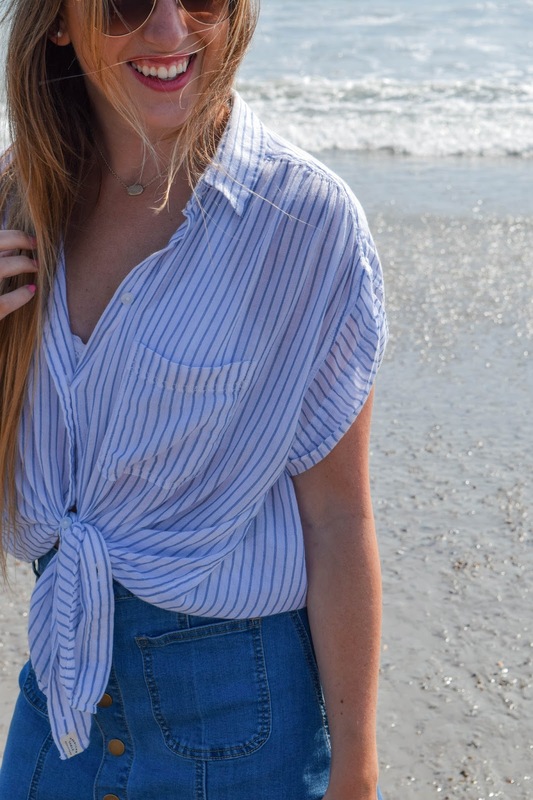 The striped shirt would look effortlessly put together paired with some jeans and booties, and denim skirts have made a huge comeback lately for all seasons! My sister just got a dark wash skirt, and I already have my eye on borrowing it every time I'm home throughout the fall. The long weekend we had is also really throwing me off. I loved being home and spending time with my family, and I'm not kidding when I say I chose to order pizza instead of going out for dinner my last night home just so I could spend more time with my cat haha! But I can't believe the weekend is just a day away! I still feel like I just started the week, but I'm definitely not complaining! 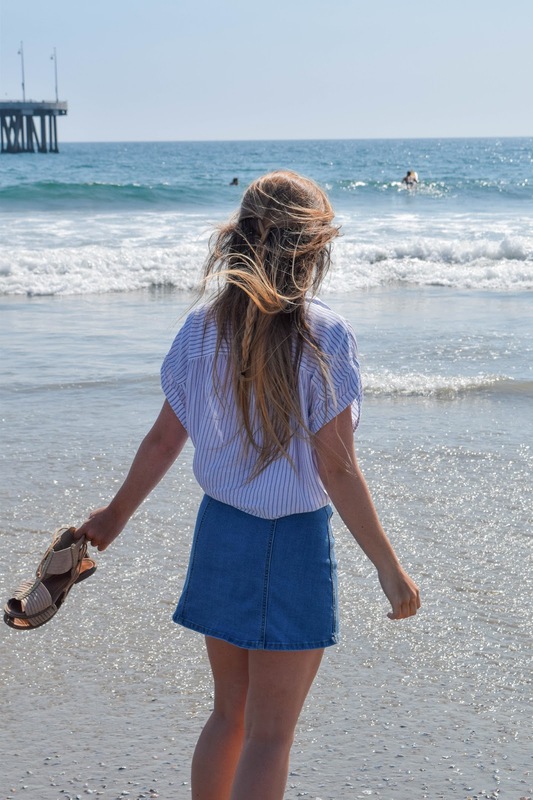 Adore your beach outfit! Especially the denim skirt! Makes me really miss my summer! Thank you! Summer isn't "technically" over yet, but the minute September hits everyone goes fall crazy! You look so blooming! love the ocean. Summer is finally over here, but sometimes Mr. Sun always comes around, the unpredictable weather in Asia. LOL!